This stunning try of earrings options the look of a peacock whose tail has been artfully adorned with white and inexperienced kundan beads and stones. 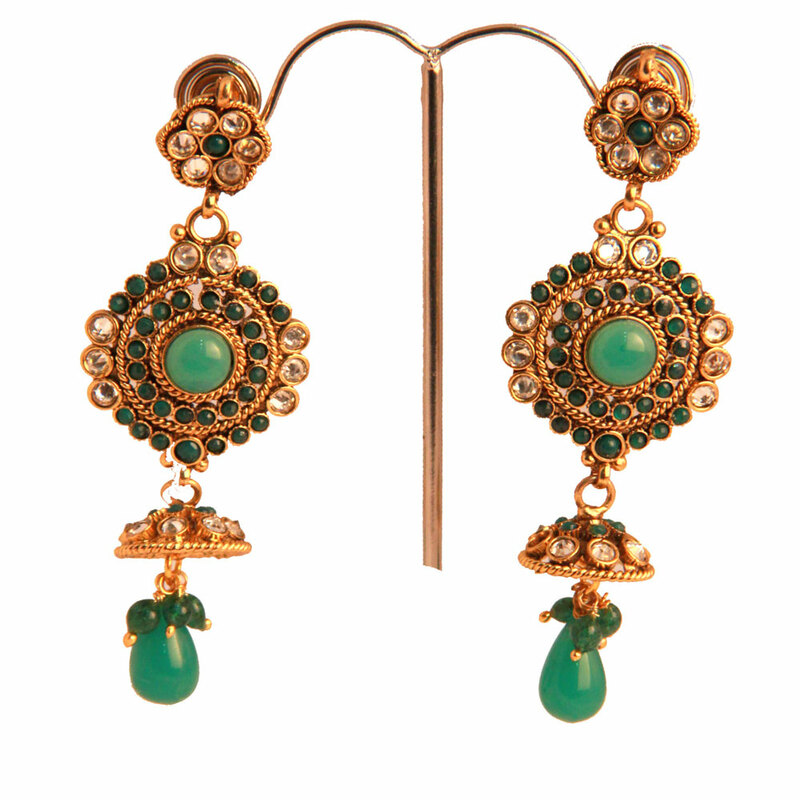 This beautiful pair of earrings features the design of a peacock whose tail has been artfully decorated with white and green kundan beads and stones. Read More..The other semi-precious gemstones that adorn the other parts of the earrings make them colourful and vibrant and just right for a festive or fun occasion. Show Less..